Valkyria Chronicles 4 announced for Switch!!! And some other platforms (PS4, Xbox One.) But most importantly, SWITCH! But now it is back on consoles! And not a side game, a real Valkyria Chronicles game! On a Nintendo console, to boot! HECK YEAH. Sega already said it is coming to the West too. In 2018. Runner3 getting a physical release on Switch! Super Mario Odyssey tops 9 million, Xenoblade 2 tops 1 million shipped worldwide, and more! HOW ARE MORE PEOPLE NOT PUMPED? DO YOU REALLY JUST NOT KNOW WHAT YOU'RE MISSING?!!?! Well...no. Never played a Valkyria Chronicles game. Also, there are too many damn games for me to play. 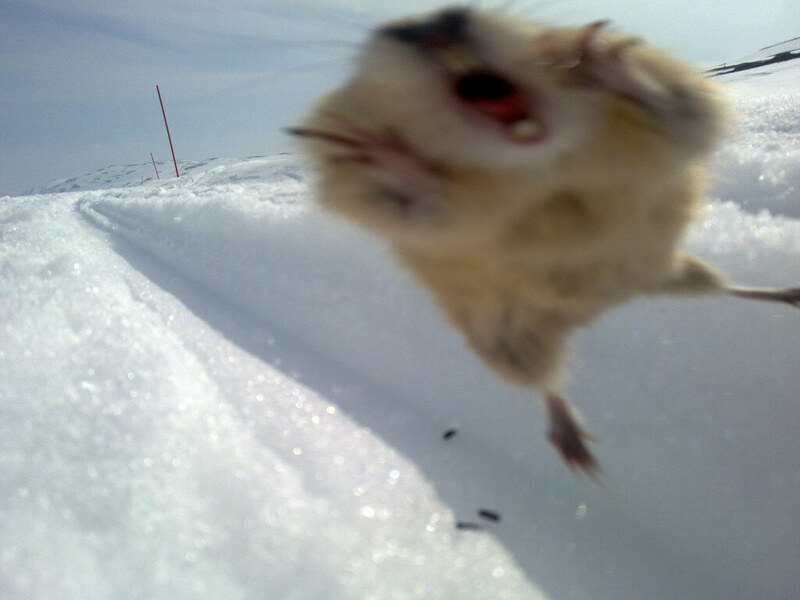 Plus, I've got the tactical skills of a coked up lemming. Not that I won't buy this if this is good, because that's what I do with my life right now. I played the demo of the first and loved it but never got further than that. Will prob jump in on this one. The one on the PS3 was one of the games that looked interesting to me, so I'll probably check this out. This is one of those series where you don't have to play previous games to know what's going on, right? @Mop it up Well, storywise it might be somewhat relevant, but the story of the two games I played was kind of generic anime stuff anyway (though solidly presented.) It's really about the gameplay. This, except with the reminder that coked up lemmings are actually pretty amazing strategists. Sure that strategy is "run forward and go for the face area" but man that strategy almost always works. so I forced myself away from my PS3 netflix addiction long enough to boot up Valkyria Chronicles for a bit. You people need to get more hyped for this. The artstyle on the game alone is just amazing. I am super pumped. I love the changes to the character design and setting. That does look nice. I kinda wish the music was a bit more Skies of Arcadia in terms of setting the mood for adventure and camaraderie though. Speaking of Skies, isn't this the game that has Vyse, Aika and Fina as guest stars? 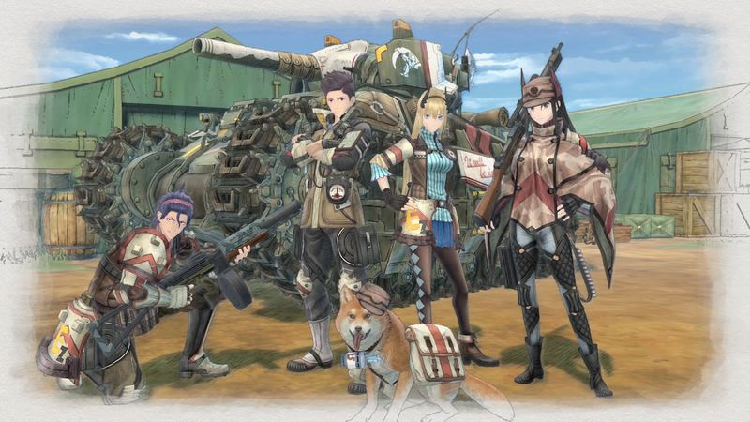 Can we expect more SoA characters in VC4? That doggie looks kinda fun. Japan sure does like their Shiba Inus (and corgis). I don't remember the music, but it's not really an adventure story. It's a very thinly veiled fantasy version of WW2 that can get kind of dark and hopeless at times, especially if your characters die. A lot of the time it feels like you're just barely scraping by, from both a narrative and gameplay perspective. I don't think an upbeat or adventurous soundtrack would fit the game's tone. But I can see how that intro cinematic gives the impression of a more upbeat and romantic story. And yeah, the first one did have Skies of Arcadia characters. They were pretty useful too. I don't think later games had similar cameos, but I could be wrong on that. @pokepal148 I've only been telling everyone to play this game like forever. And you are correct to do so. Valkyria Chronicles is absolutely fantastic! In my defense I only recently got a system I could play it on and Valkyria Chronicles was one of the first games I got for it. If Zero is comparing this to a 3D Advance Wars (isn't that what Battalion Wars 1&2 were?) he must hold the game/series in high respect. Apparently the demo goes live today?! I should probably check out that demo before buying, to make sure I can get a handle on how it plays. Unless they really screwed something up it should be pretty intuitive. It's not a strategy game with a ton of complicated things to learn or anything. Downloaded it yesterday I think. Will boot it tonight. Gave the demo a shot yesterday, and it's pretty cool. It's got flowery fields, dogs in hats and fascists getting shot in the face - all the stuff I like. I'm usually pretty bad at military strategy though, and I'd need a ton of time to put into a game like this, so I don't know whether I'll get it or not. Gonna replay it today, and see if I can turn off the voice acting. Really annoys me when voice actors constantly do that little melodramatic exhale at the end of each sentence, as if that would convey any sort of emotion by default. Looking at you, Claude.